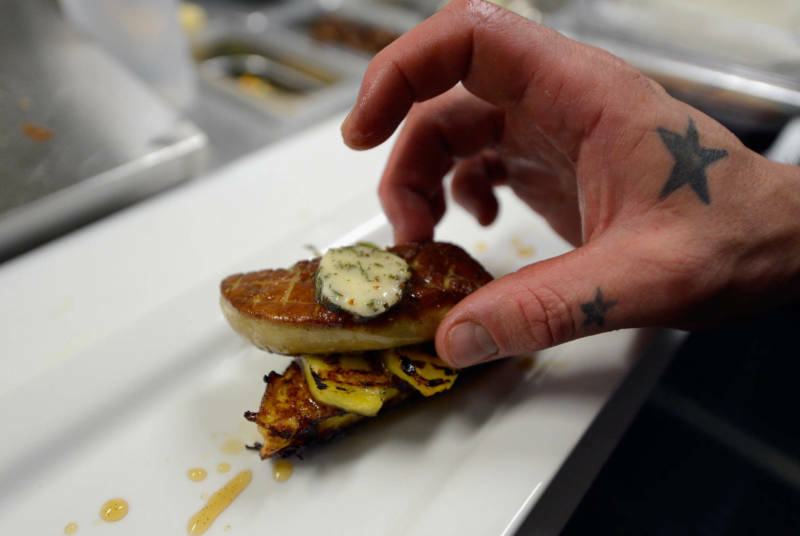 The U.S. Supreme Court cleared the way Monday for California's ban on foie gras to go into effect after a legal battle lasting more than six years. "The suffering ducks endure to produce foie gras is intolerable and rightfully outlawed," the fund's executive director Stephen Wells said in a statement. The group filed friend-of-the-court briefs supporting the state's defense of the law. The ban was challenged in a 2012 lawsuit by foie gras producers from the Canadian province of Quebec and New York state's Hudson Valley and by a Southern California restaurant chain. But Eberly said she believes there is little left for a trial judge to consider in the wake of last year's appeals court ruling. "From our perspective, the 9th Circuit decision ends the matter," she said. In 2015, U.S. District Judge Stephen Wilson of Los Angeles struck down the statute, ruling that it conflicted with a federal law that prohibits states from imposing ingredient requirements that differ from federal requirements for poultry products. But in its ruling last year, the 9th Circuit said the force-feeding required in producing foie gras does not concern an ingredient, but rather the way the birds are treated while alive. Foie gras, which means "fat liver" in French, is made from the livers of ducks or geese. In the last stages of feeding, birds are force-fed through a tube in order to enlarge their livers.